The activist acknowledged that “some parties don’t want me here today because they so desperately don’t want to talk about climate breakdown” but reiterated that “it’s ok if you ignore me but you can’t ignore the science”. She added that “if the house was falling apart, you wouldn’t waste time arguing about Brexit” and that “permanent and unprecedented changes” are needed, including making sure that emissions are cut by at least 50% by 2030. The current target is 40%. School kids are on climate strike “because we have done our homework” and listened to science, 16-year-old green activist Greta Thunberg told EU policymakers in Brussels today (21 February). “Just unite behind the science, that is our demand,” she said. 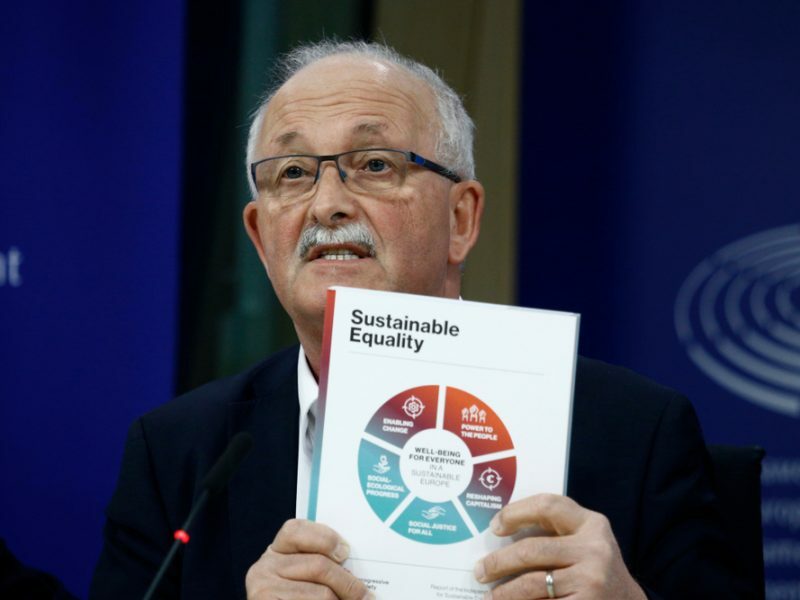 Greens MEP Bas Eickhout, one of his group’s candidates to be named the next European Commission president, thanked Thunberg for her words and urged EU climate chief Miguel Arias Cañete to “make the most of his last chance”. Eickhout called on Cañete to go to an extraordinary UN climate summit in New York in September with an increased 2030 target in tow. The Spanish Commissioner, who was also in Strasbourg in part to hear Thunberg’s speech, assured the Dutch MEP that he would “spare no effort” to try and push the EU member states to adopt an ambitious long-term climate plan during the first summit in June after the EU elections. At a press conference earlier in the day and during the speech itself, the Swedish activist said that “it’s essential to vote in the elections. I can’t but it’s important for those that can,” adding that it is up to eligible voters to help out younger citizens. Cañete pointed out that by the time Greta and her peers are old enough to occupy the jobs currently held by politicians and business leaders, “it will be too late to stop climate change if nothing is done now”. 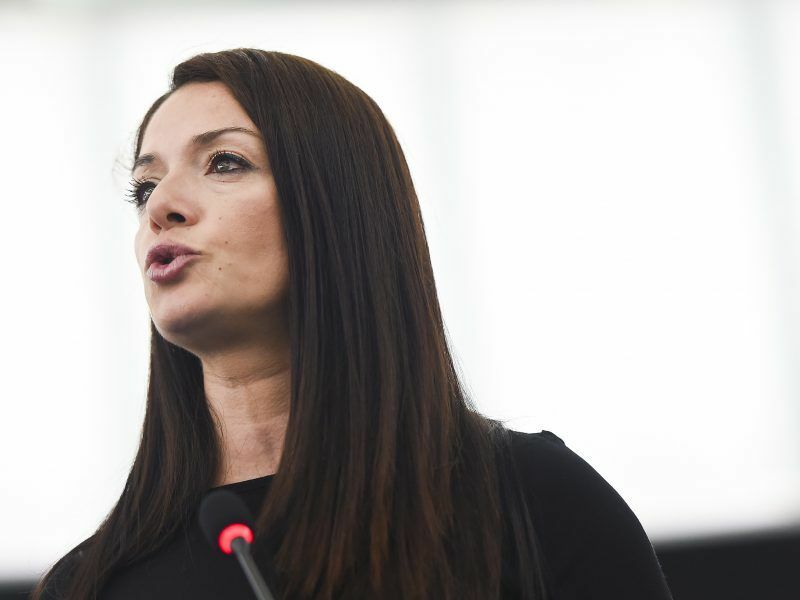 Socialist lawmaker Miriam Dalli, who helped steer the EU’s new rules on car CO2 levels across the finishing line, said that more pressure should be exerted by the EU on member states to lower voting ages to 16 years old. Her home country of Malta, as well as Austria, are the only member states that have taken that leap, while Scotland lowered the age only for its independence referendum in 2013. A previous invite for Thunberg to speak in front of a full plenary session was blocked by the conservative European People’s Party (EPP) and the Alliance of Liberals and Democrats (ALDE). Socialist leader Udo Bullmann said in an interview after the invite was blocked that the EPP and ALDE had insisted that “kids belong to school on Fridays”. 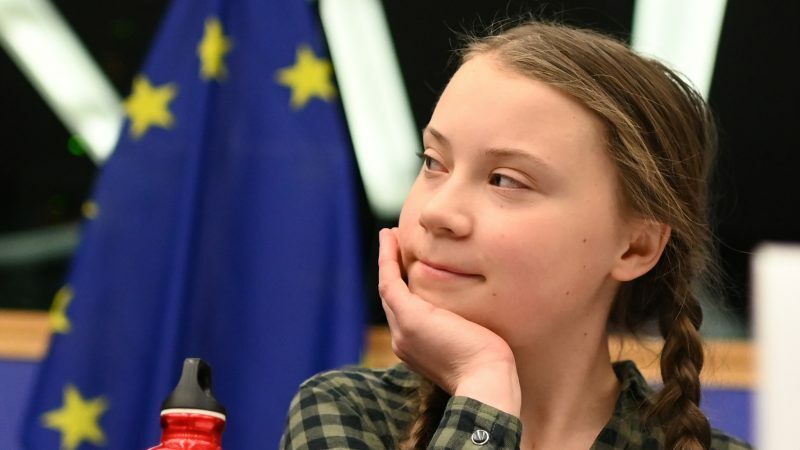 However, this week’s plenary session coincided with Europe’s Easter holidays and Thunberg was only invited to address the environment committee, rather than a full sitting of the Parliament. ALDE had also stoked controversy last week when one of its members, Teresa Giménez Barbat, hosted Dr Bjørn Lomborg, who green groups have labelled a “climate action distractor” because of his supposed insistence that technological innovation will be enough. Greenpeace Europe’s Ariadna Rodrigo said that not welcoming Ms Thunberg but instead associating with Dr Lomborg “cast serious doubts on ALDE’s climate credentials”. 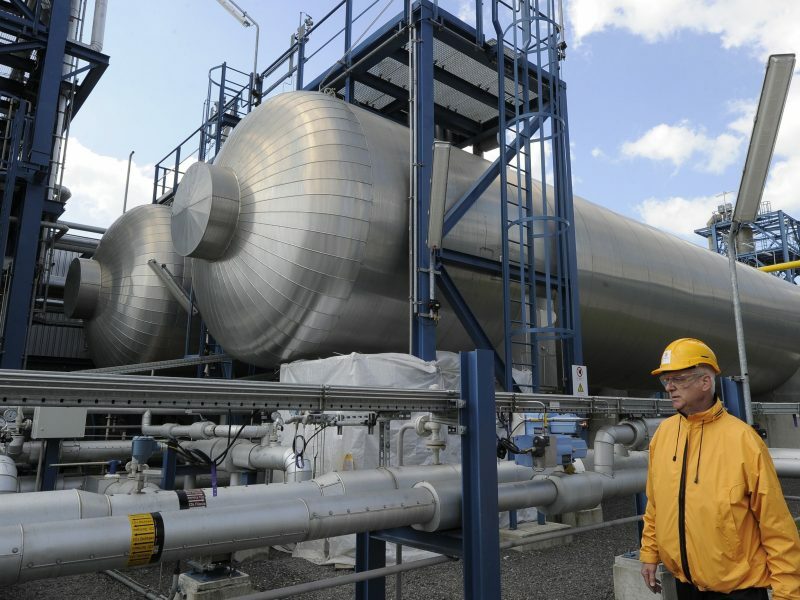 French MEP Françoise Grossetete (EPP) boycotted the meeting, saying that it will only be “innovation and technological progress” that will allow Europe to cut its emissions. 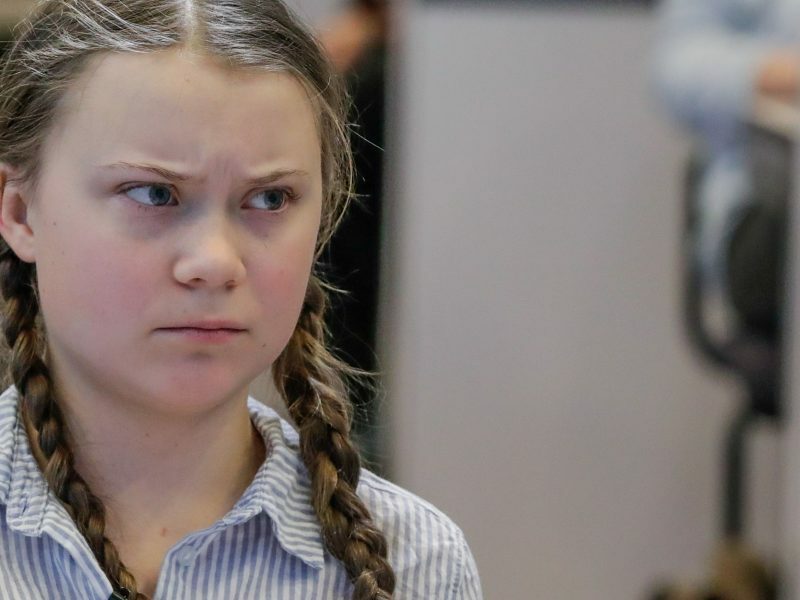 “I reject firmly the declinist, catastrophic, decreasing and anti-nuclear speech held by Greta Thunberg,” the MEP added. The young Swede will now continue her journey, via rail, to Italy, where she will meet Pope Francis. Asked by reporters what she plans to say to the pontiff, she replied that she is not quite sure yet but “probably the usual stuff”.